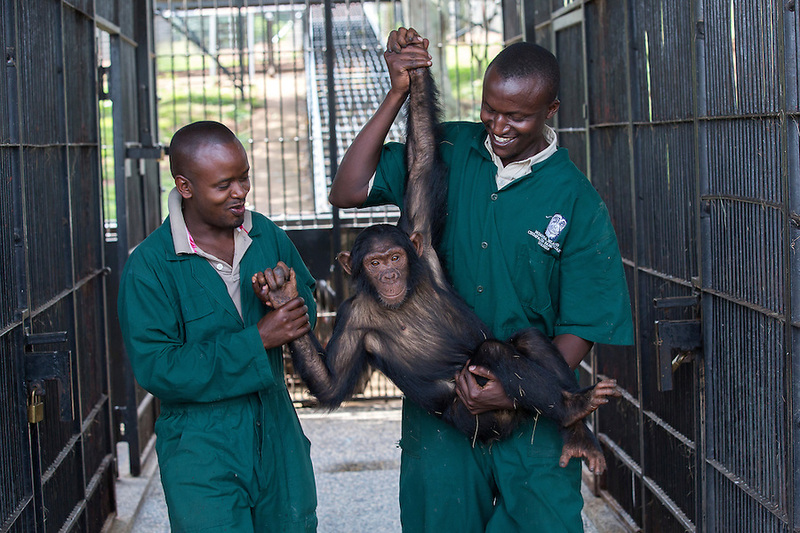 Female infant chimp, Sara, is carried by care givers after being sedated so Ngamba's veterinarian, Dr Joshua Rukundo, could examine and treat pox in her mouth at the Ngamba Island Chimpanzee Sanctuary in Lake Victoria, Uganda. Sara, who has been on Ngamba Island since 2012, is a little chimp with a clear face. She was confiscated from a trader in Southern Sudan. At the time of her arrival, she was in a bad condition. Her eyes were puffy due to dehydration and she had a big hard stomach with no hair on it.